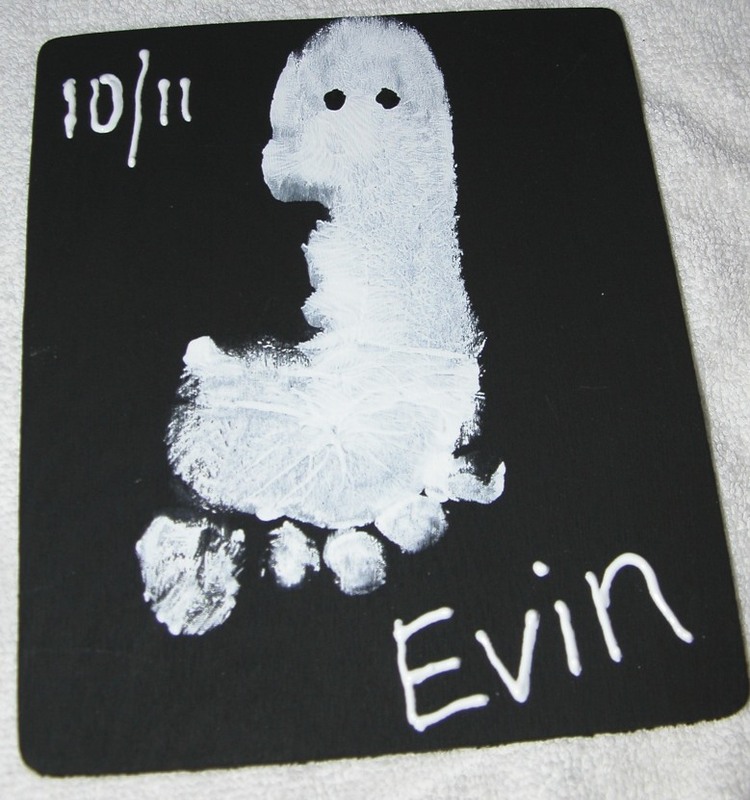 I saw this cute idea on pinterest to make a ghost for Halloween out of a footprint. So I had to try it with my boys. I had two pieces of thin wood I haven’t used for anything and I decided to use them. I painted them black so the white would stand out better. 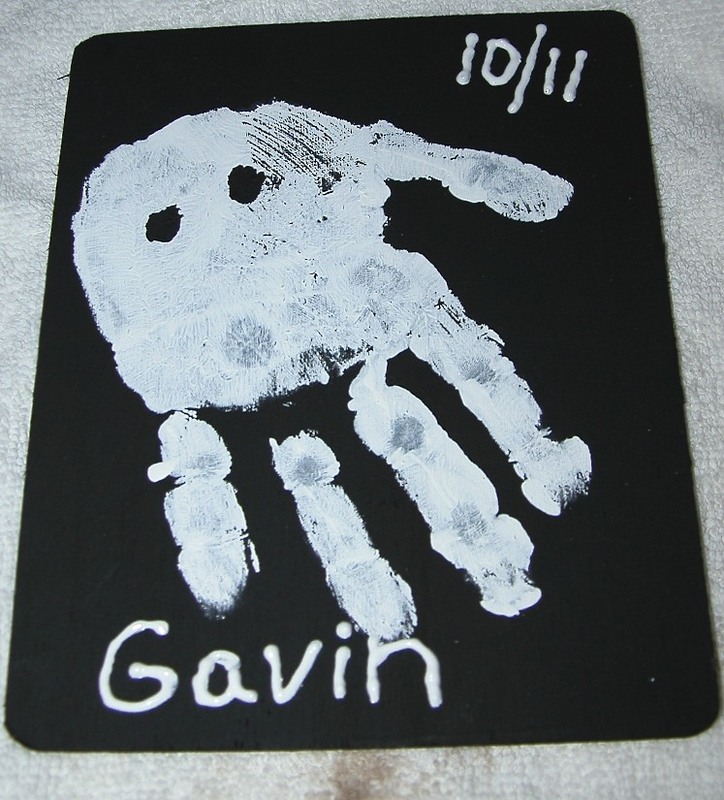 The only problem I ran into was my 4 year old has such big feet his foot was to big for the board so we did a handprint for his and it still turned out cute. – something to put the footprints or handprints on. 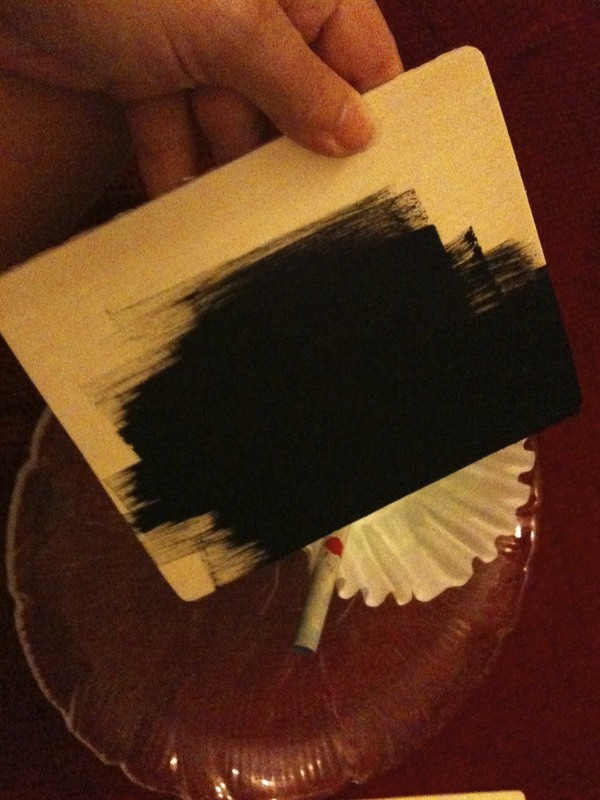 Black piece of heavy paper, plate, piece of wood. 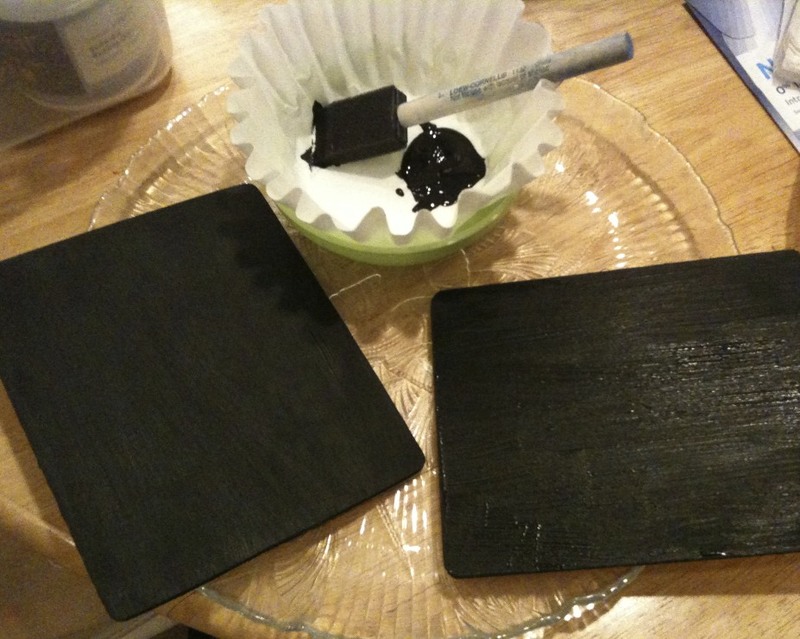 I then painted my two pieces of wood black and let them dry completely. I then painted my sons hand with paint. 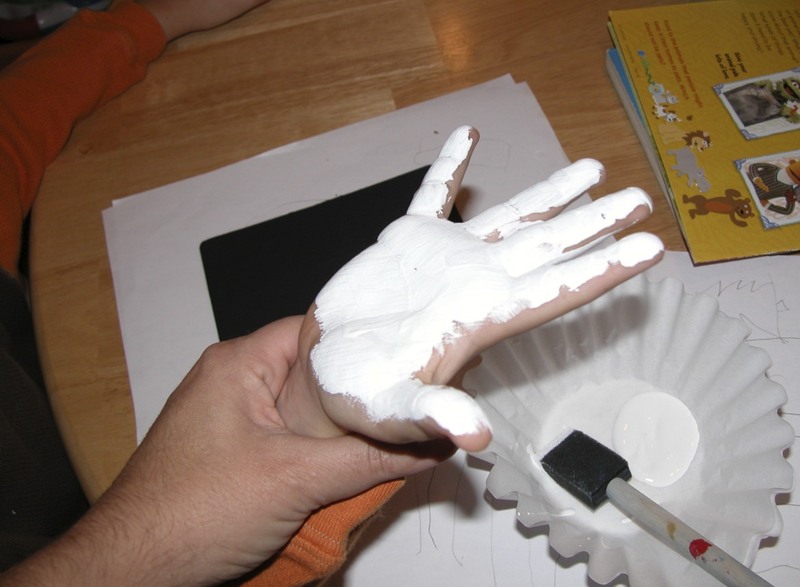 I find it works better and is less messy when I put it on their hand or foot myself. After cleaning up my four year old I grabbed my 22 month old and sat him in his highchair. MUCH easier to contain him and try to get his footprint. He is not as comfortable with it as big brother and wasn’t thrilled at all about my putting paint on his foot. 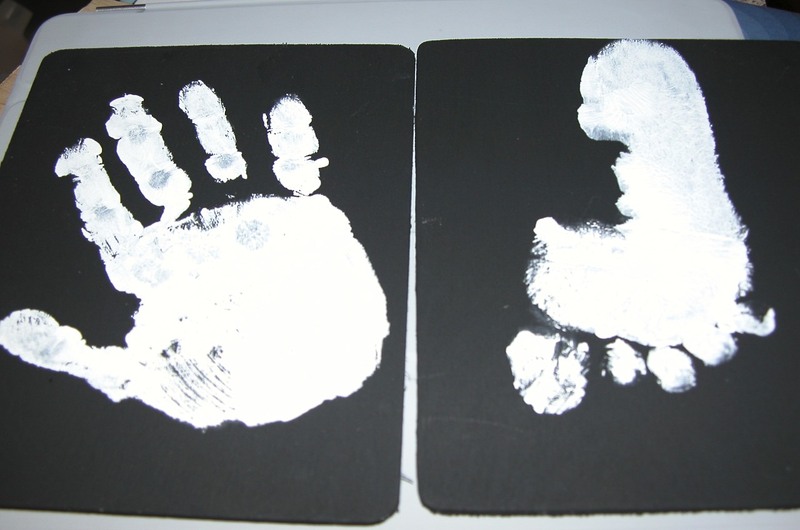 We managed to get this footprint from him and the handprint from big brother. After you get the prints let them dry for a little bit and then add the black ghost eyes and any writing you desire for personalization on the picture. I think they sort of look like ghosts. We chose to use pieces of wood because it was what we had available. 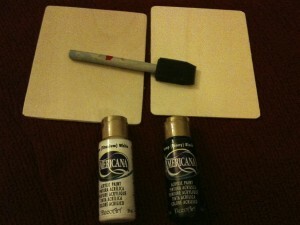 You can also use black construction paper or another dark color. You could also experiment using other colors for the ghosts such as a neon color. I think I am going to put some magnets on the back and hang them on my refrigerator. I am glad that we will have these for next year too and can remember how big they were in 2011. Have you done a Halloween project yet? In a couple of weeks I think we will paint pumpkins.